A few people have recently asked me for recommendations for books to read with your child when they are soon to become an older sibling. 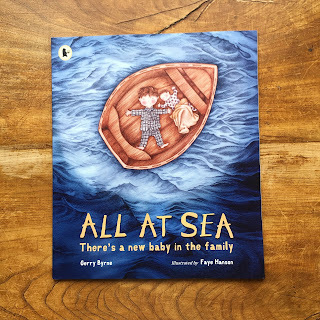 Whilst it seems like The Wee Page Turner has always been a part of our family, before he was born we spent lots and lots of time reading stories with BookBairn about what a new baby would entail and what being a big sister meant. Before I share some of our favourites - I would recommend asking your library what books they have, or can request from other libraries as you won't need the books for too long (though some of these have become our favourites). It also allows you to borrow lots and test them out before buying the ones that appeal most to your family. This is a great rhyming story about a Mummy's tummy growing. It explains to children at a level they can understand that the baby is growing inside mummy's tummy and that's why her tummy is growing bigger and bigger. It also touches upon the fact that the mummy is more tired and sometimes she craves funny foods. It shows the developing relationship between a little boy and the bump. And on the final page it shows the whole family sitting together cuddling a new baby. 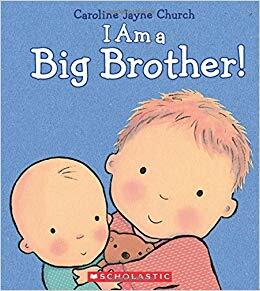 This is a great book for sharing and explaining why mummy's tummy is growing and starts to build a bond between sibling and bump. 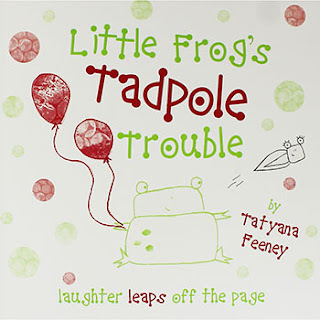 The rhyming prose is a great read-aloud and the illustrations are soft and comforting. 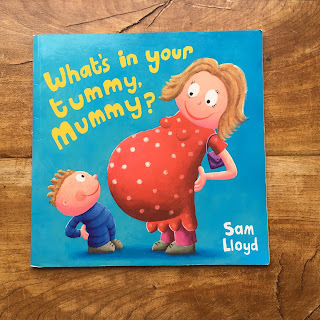 A lovely one if your child has lots of questions about mummy's bump. BookBairn just adored this hilarious lift-the-flap book about what's inside Mummy's tummy! 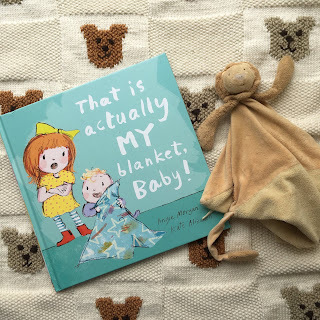 It's such a simple book - on the first page Mummy tells the little boy that she is really excited about the surprise inside her tummy and on each subsequent page the Mummy's tummy gets a little bit bigger as happens in real life! Each page also has a lift-the-flap over the Mummy's tummy and the little boy guesses an animal that might be inside his mum's ever-growing tummy. It starts small with a flea, gradually getting bigger and bigger from chimpanzee to a horse until finally he thinks it's so big (almost a whole page spread) that he thinks it's a dinosaur! On the final page the mummy reveals the real secret inside her tummy - a new baby! It's a brilliant pop-up double-page spread that has the mummy shouting "yippee!!" The illustrations in this book are typical of Sam Lloyd, if you have read his Boris books you will know that he favours simple cartoon characters with bright bold colours against simple backgrounds allowing the characters to really shine! My full thoughts on this one are linked here. This is another great one for helping to explain the excitement around Mummy's growing tummy. 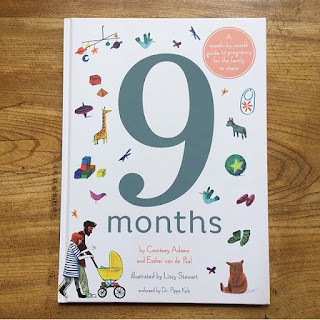 It shows a child reading stories about a new baby, feeling the baby move, sharing old clothes and picking out new ones, buying toys, visiting the doctor, painting the baby's room and waving mummy off to the hospital. 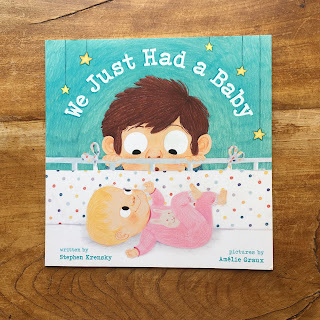 With very limited text but lots of detailed illustrations, this is a super book to share and discuss all the exciting things around the new baby. It's also one of the few, that I've seen, that show mummy going to the hospital, which was the bit that BookBairn found the most tricky as I'd never really been away from her and we probably didn't prepare her enough for that. The illustrations in this book are full of smiles and excitement! 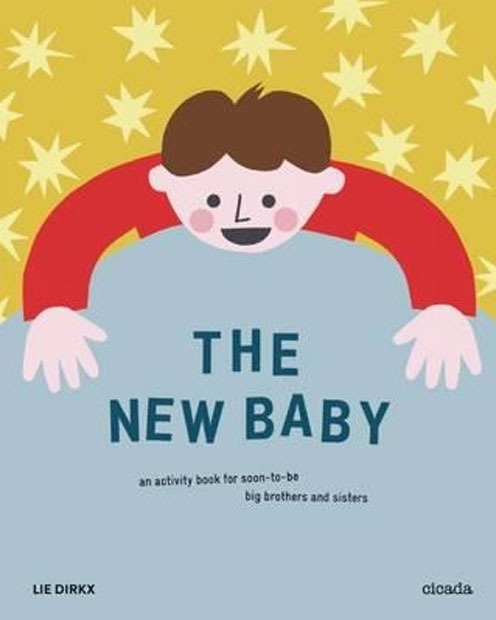 There is also a follow up called 'My New Baby' which shares all the things that life with a new baby will be like. 'Snuggle the Baby' is truly a perfect book for little ones to introduce the idea of looking after a newborn. Completely interactive, the readers have to help play with and look after the baby in the story. Firstly, it says "babies love to play" and you have to tickle the baby's tummy, which BookBairn just loves doing. She even makes a little giggle noise for the baby when she tickles the baby's tummy. The next page shows babies playing and you have to move the baby's arms up to make him stretch. One of BookBairn's favourite parts of the book is to take the board bottle out of the page and feed the baby it's milk. For mothers planning to breastfeed, this is mentioned in the text but obviously would be hard to make interactive so a pretend bottle is the interactive part here. Then you have to help change the baby's nappy and swaddle a page-size cut-out baby. 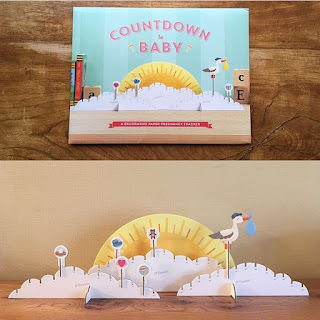 You can lift the baby out and tuck it under a blanket on the final page and sing a lullaby to help them fall asleep (if only it was that easy!). The predominant colours in the book area bright peachy-orange and a pastel turquoise making the illustrations quite striking on the eye! Though the main and interactive baby in the book is white with dark hair (as BookBairn's brother is likely to be) the other babies in the illustrations are of a variety of ethnicites and colourings which make it appealing to all families.This book is still a popular choice in our house and BookBairn just loves looking after baby. Our original review of this one can be found here. What a great little hands-on this book is! 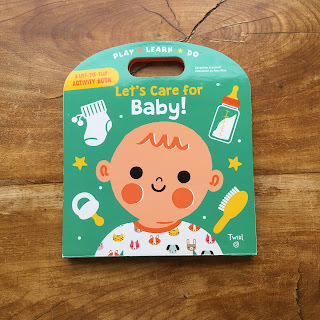 You can put the baby's socks on, and cut it's nails, brush its hair and wash it's face, check it's temperature and change it's nappy, get it dressed, clean, fill and feed the baby it's bottle, find it's favourite toy, put it in it's sleep-bag and give it it's dummy. The baby is gender-neutral making it perfect for new siblings and siblings-to-be, especially where parents' haven't found out the gender. The illustrations are also scattered with a few keys words and phrases or instructions but it's more of a book to play with and discover than to read. This is a perfect books for encouraging hands-on learning and helping children develop a sense of responsibility for younger siblings. BookBairn has had so much fun with this one. She loves that it has a handle and can easily take it from room to room. She loves playing with the baby and putting it's dummy in - something that she is now getting good at in real life too. But her favourite part is definitely giving the baby it's bottle. Even now that our baby is over a year old she still enjoys playing with this book. You can find our original review of this one here and there's a little video of some of the moving parts so you can see it in action. A wonderful story about what happens once the baby has arrived. 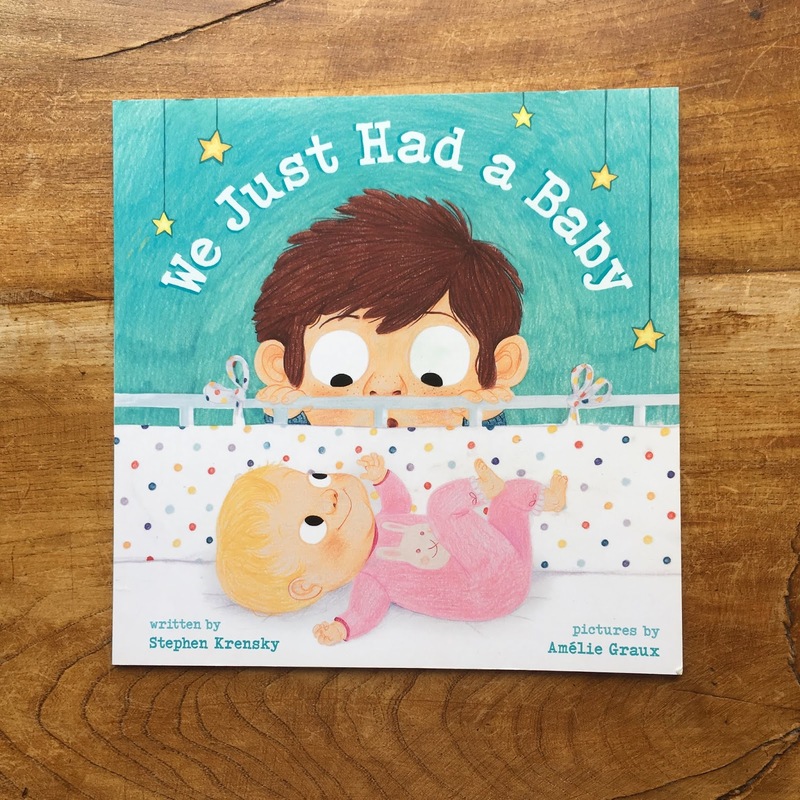 This is a great, and beautifully illustrated, take on what it is like for an older sibling who is baffled by why everyone coos over the littlest things that the baby does and yet nobody notices him doing these things. And why a baby wears a nappy when he can use the toilet. And why a baby only has milk but he can have pizza and ice cream. But it also shows his growing fondness for his little sister - how he plays peekaboo with her, and shows her how to splash in the bath. But my favourite part is at the end of the book when he says "I'm glad the baby keeps trying new things. I hope she grows up soon. I have BIG plans for us." I think this book captures well what it is like to be an older sibling to baby: to begin with it's a bit dull because they don't do much, and they when the do it's mostly play lead by the older sibling, like peekaboo but the exciting part of having a baby is without a doubt the plans you can make for when they are big enough to be your best friend! 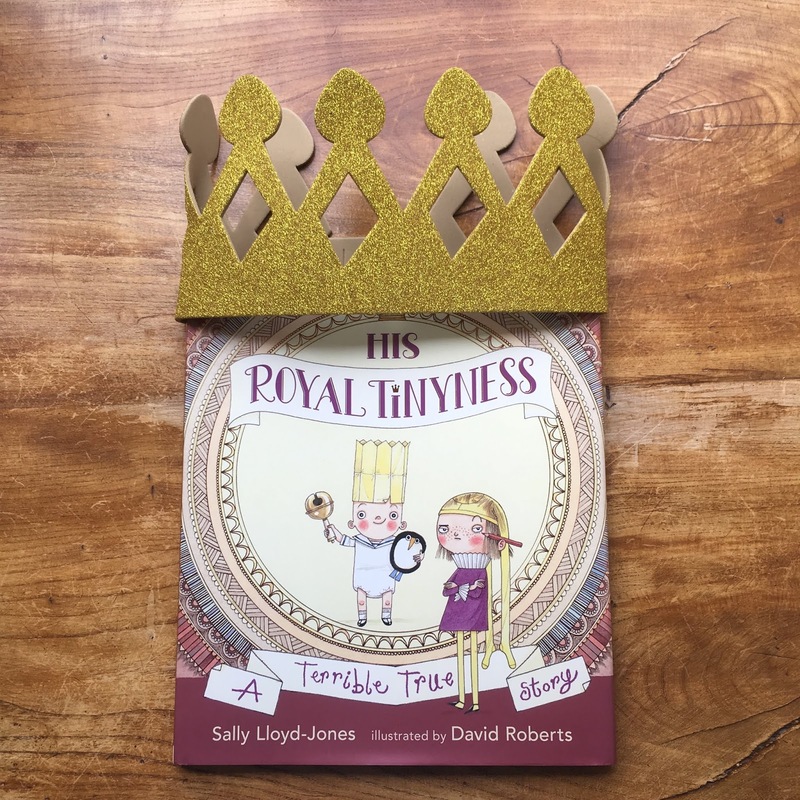 The illustrations in this book are full of subtle humour and I think it would be a great read for slightly older siblings too! We all have a favourite toy or blanket as a child and, if you follow us you will know that BookBairn has a lion called Louis who goes everywhere. And, as much as she adores her brother there is no chance she would share Louis with him. So we went on a special trip, before The Wee Page Turner was born to buy him his own favourite snuggly toy: she picked an elephant named Hugo. So now whenever we go anywhere I have to check and make sure that we have both Louis and Hugo too. And that's exactly what this story is about. A little girl who has a blanket that goes everywhere. And a new baby who quite likes his big sister's blanket more than his own. So she shows him how to make his blanket messy, and smelly and loved, just like hers. It's a lovely tale about sibling bonding and friendship that is so beautifully illustrated you will have lots of fun reading this one! The Wee Page Turner stealing BookBairn's blanket. Once upon a time there was a Happy Family. Until one day, His Royal Highness, King Baby was born. King Baby becomes the center of attention. And his kind-hearted big sister (with her long flowing wondrous golden hair) feels a bit put out by all this fuss. What can the poor innocent princess do? In her efforts to scare this monster baby off, the princess soon discovers that he beholds her with complete adoration (the way only a younger sibling can) and they live happily ever after. This is a hilarious story about all the fuss and furore around a new baby seen through the eyes of their older sibling! 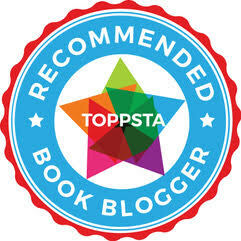 Laugh out loud funny with illustrations to match! This book tells the story of a little girl, Matisse, who is very little in such a big world: she brushes her little teeth, puts on her little shoes and climbs into her little car seat going on big adventures across her big city! Sometimes she even needs a big nap after all her adventures (lucky for Matisse's Mummy, huh?). And then her little brother comes along and the little girl is suddenly not so little anymore. She is the big girl. He has the little fingers and the little toes and he yawns little yawns. And it shares lots of beautiful images of the children playing and growing together. The illustrations in this book differ greatly from the sorts of illustrations I usually appreciate in picture books. Instead of the bright and bold colours I normally praise, this book has a soft pastel coloured watercolour finish. With a colour palette limited to pale yellows pinks, turquoises and orange, Claire has created gentle illustrations which perfectly match the feel of her story. You can read my full review of this one here. This is a wonderful celebration of the play between two siblings. The older sibling is the bossy boots who leads the play and picks all the games and best roles, and the younger sibling just has to follow along. Or does she? This is a story about friendship, and finding (and fighting for) your place. 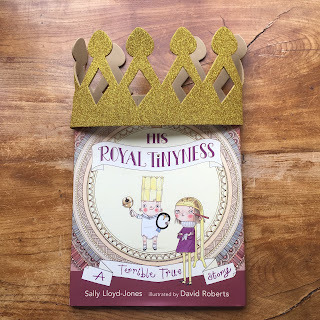 I love the friendship between the two sisters and it's so brilliantly illustrated you will want to jump into the book to join in their fun and games. I look forward to seeing my two play together like this! There are lots of books like this on the market, and I'll be honest they are all much of a muchness. They show an older sister meeting and helping to look after and play with a new sibling. Showing that when a family grows so does the amount of love and that there is plenty for everyone. Soft and sweet illustrations to match! 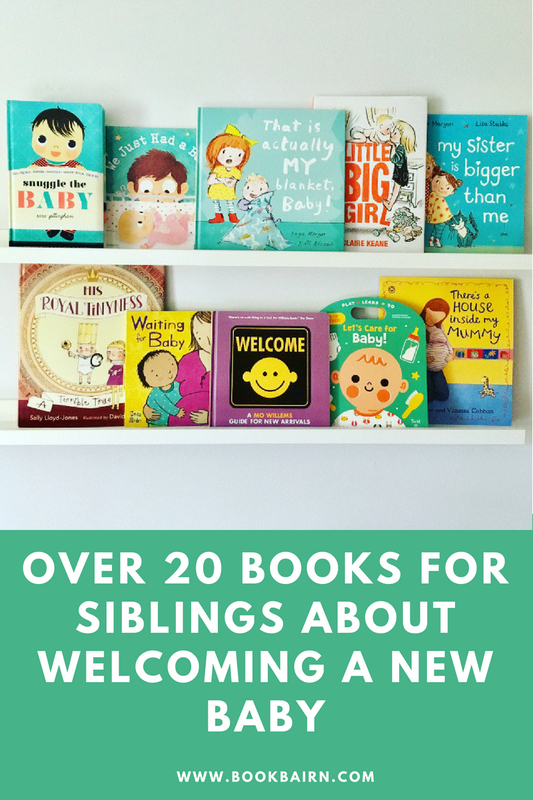 These books don't particularly excite me but they do serve a purpose for sharing with your little ones that there is plenty of love to go around. My recommendation is to borrow some books like these from your library as, for us, they haven't stood the test of time. As I mentioned before, there are lots of similar books like this on the market and they are honestly so useful. 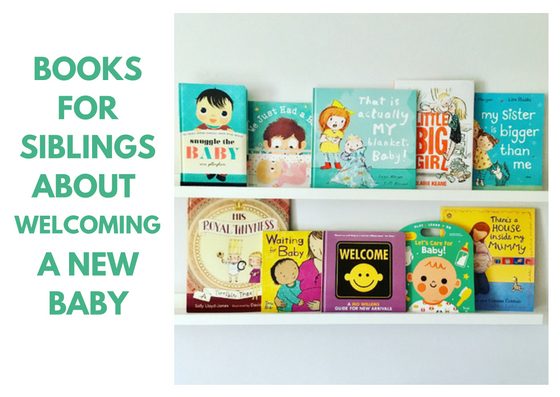 But in my opinion they are ones that are better to borrow than invest in as they are time-limited for preparing your little one for the new baby but probably won't be re-read over and over again like some of the other one's I'm recommending. 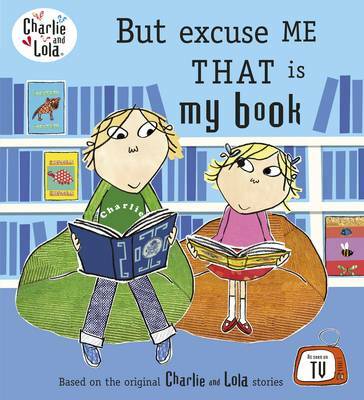 These stories all revolve around the relationship between brother and sister - they are basically amusing takes on everyday life of small kids in the context of a warm and amusing sibling relationship. And the illustrations are adorable. Perfect for showing big brothers how to lead the way! Lauren Child also wrote and illustrated this book which is solely about having a new sibling. And doesn't it look fabulous? It’s difficult coming to terms with a new sibling, babies turn our lives upside down and older siblings have to learn to share. Not just toys but parents' time and attention. In All At Sea, Liam gets a new baby brother and a set of toy hippos all in one day! And the baby hippo keeps going missing - eaten by a crocodile, trampled by an elephant and takes a swim in the toilet. All of which give him nightmares. But only when he accepts the baby hippo into the hippo family do his bad dreams stop. A very sensitive story about the arrival of a new baby. 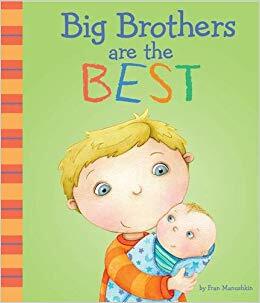 Written by a child development expert and illustrated by the ever so talented Faye Hanson this is a great book for older children who are expecting a new sibling. 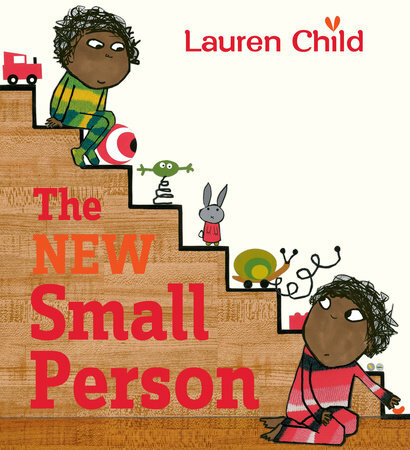 There are lots of great books for very tiny tots but this one is the first I have seen that would suit older children too! There's no guidebook for no longer being the center of attention. But this is a great book about little frog who is about to become the big brother to thousands of tadpoles! This book outlines just a few of the new responsibilities and shares some of the changes that a big brother will have to face. Just be glad you're not having thousands of babies! This is such a fun activity book for slightly older children where you can design baby grows, and discuss baby names as well as learn about the baby as it grows month by month. With images about what happens when the baby is born as well as lists for what you will pack in a hospital bag this book has is covered. And as it's an activity book it's great for starting discussions as you do the activities together. Beautifully designed and illustrated. This is a much more anatomical guide for much older children (and grown ups alike) that is beautifully illustrated. Packed full of facts and information you will know about each new development and change as the pregnancy progresses. The illustrations to accompany the text are definitely aimed at older children too - being less cutesy and more mature than many of the others. 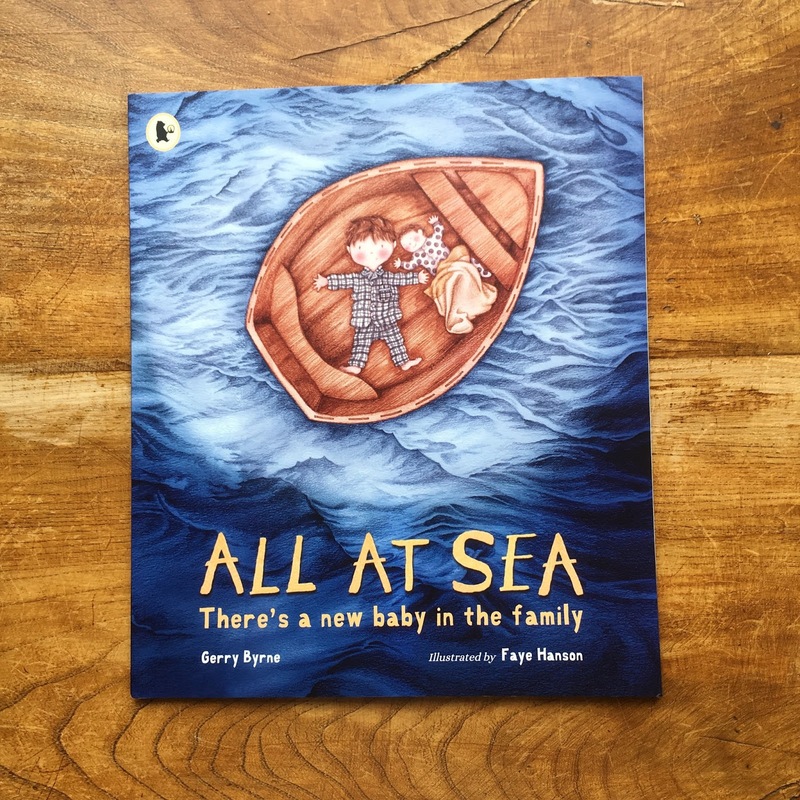 This is perfect for children aged 7+ who are expecting a new sibling. "If you have any further questions, do not hesitate to: call or flail about or scream like a banshee." This really is the perfect baby gift for new parents and baby alike. And we have a copy to giveaway - check out our social media pages linked at the top of the page or search for BookBairn on Twitter, Instagram or Facebook. (Competition will close on 2.8.18). 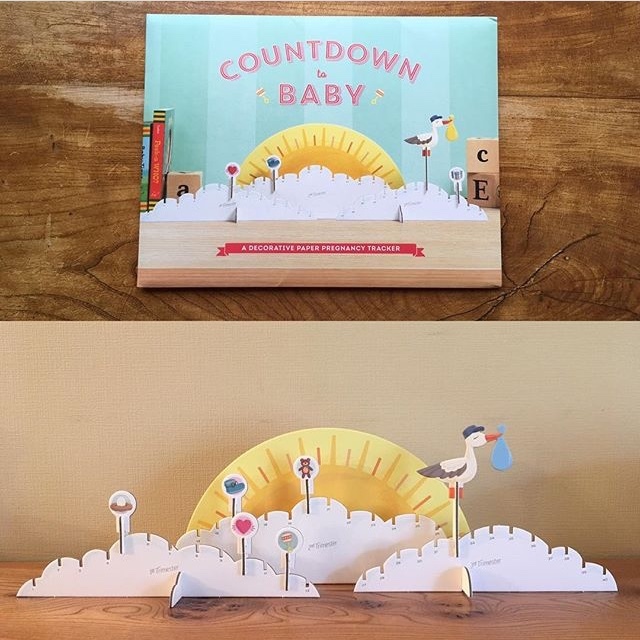 We also had this great little countdown chart for when the baby was to arrive (shame he was eight days late, but nevermind!) which helped to build the excitement and prepare for the new baby. 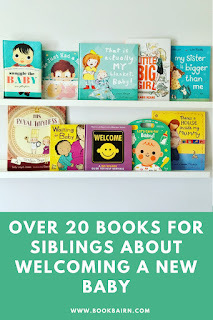 I hope you have found this list of recommendations for books for big siblings helpful! Good luck on introducing your new baby to the family! And to surviving more sleepless nights! I remember reading some of these books with BookBairn. Seems a long time ago, now, but they were great and very useful. It’s lovely to watch (and listen) to the two now playing together. Yup - all that book planning paid off I think. 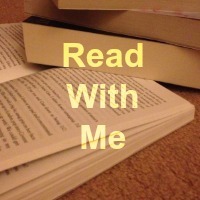 And we still read some of them now!